Meet Chris. On Valentine's Day this year, his romantic dinner with his wife was ruined when he was rushed to the hospital with chest pains. That moment of concern made him realize that something needed to change so he could be healthy for his 5 young children. 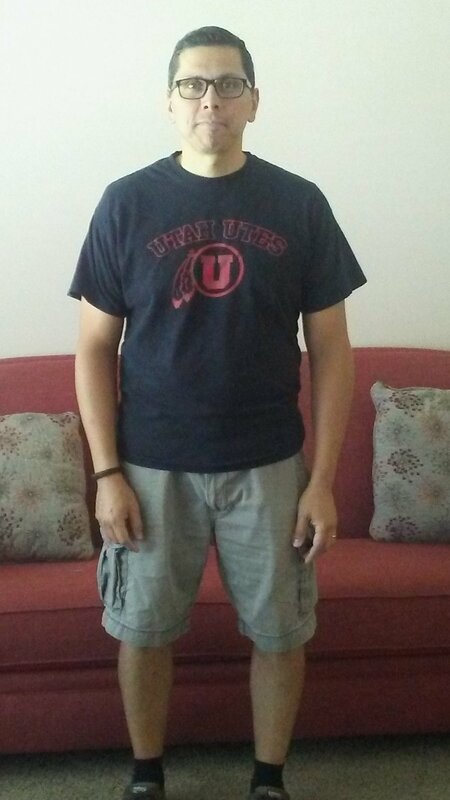 Chris participated in the onsite biometric screening at his eBay workplace in Salt Lake City. His numbers looked less than ideal and his doctor had already diagnosed him with pre-hypertension. He qualified to participate in the newly launched DPP program. "If I hadn't gone in for screening, I wouldn't be where I am now with my health." On his birthday in March, he received his Fitbit and scale from Vida and decided to try the program. He was introduced to coach Melisa and they got to work on his diet and exercise. How his life is different. "I exercise daily (w/ 10,000+ steps daily). This was foreign in the past. My diet has completely changed, with more fruits and vegetables and grains. With these changes, I feel a lot more energetic and I have clarity of mind." Chris also has lost 25 lbs. and reversed his pre-hypertension. "Today, it is around 106 over 66. Honestly, I cannot remember seeing it this low! "This program and my health coach, Melisa, have been a big help to my success along with my wife and family who have been a tremendous support. My health coach was easy to get along with, informative and very helpful! There were numerous times she provided valuable information to help me reach my goals. Thankful for you guys at Vida!"